RevitaLash is an eyelash stimulating conditioner that you apply along your lashline to make lashes grow longer, thicker and possibly darker. RevitaBrow is an eyebrow conditioning serum that strengthens brow hairs to achieve thicker, fuller looking eyebrows. Both RevitaLash and RevitaBrow are fragrance-free and easy to apply. When should I use RevitaLash? We recommend using it in the evening, after you have removed your eye makeup. If you do use it in the morning and allow at least 5 minutes before applying your daily facial products. How long should I use RevitaLash? 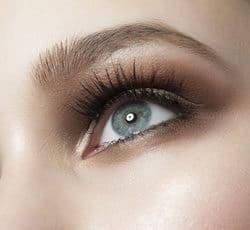 In order to maintain the natural beauty of your eyelashes, we recommend that you use RevitaLash at least 2-3 days per week. How long does one tube last? When used as directed, one tube lasts approximately 6 months. What if I stop using RevitaLash? If you stop using the product, your eyelashes will gradually return to their original appearance. Is it safe to use on lower lashes? We do not recommend using RevitaLash on your lower eyelashes. It is designed specifically for use on the upper eyelashes.